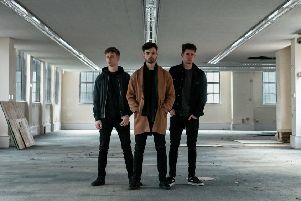 Panto, music and theatre all feature in this weeks run down of things to do in Banburyshire to take your mind off Brexit. 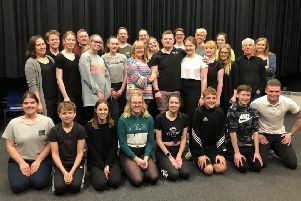 Banbury’s own pantomime specialists Avocet Theatre Company return with their unique, comedic and ambitious take on the classic tale. The cast and crew of local adults and children invite audiences to join them in a land where magic, music and wonder await. The high-energy show is full of well-known musical numbers. The ever-popular Tony Jacobs and his pianist Jim Barry celebrate the great American and British songwriters of the 20th century, offering the perfect Mother’s Day treat. Be transported back to a musical golden age with timeless classics from the likes of Cole Porter, George Gershwin, Irving Berlin and Noel Coward. And prepare to hear some fascinating anecdotes about these musical greats and be charmed by Jacobs’ trademark smoothness and wit. The Long Walk Back is based on real-life events and tells the epic story of an international sporting star’s catastrophic fall from grace. England all-rounder Chris Lewis enjoyed a meteoric rise to fame and fortune in the 1990s. Playing 85 tests and one day internationals for England, he seemed on the verge of greatness when he was named England’s International Cricketer of The Year in 1994. But within months of his cricketing career ending, his life lay in ruins when he was sentenced to 13 years in prison for smuggling cocaine into the UK. Beginning with his arrest at Gatwick Airport in 2008 and an attempted suicide on his first night in custody, The Long Walk Back charts the extraordinary journey that took Lewis from the brink of despair to a profound moral awakening. Perhaps best-known as the writer of Vicar of Dibley, Paul Mayhew-Archer was diagnosed with Parkinson’s aged 58. Instead of viewing it as the end of the world, he is using his diagnosis as a foundation for his stand-up comedy show.